Delhi's new landmark is Asia's first 154m high bow shaped asymmetric steel pylon and connects Wazirabad to East Delhi. 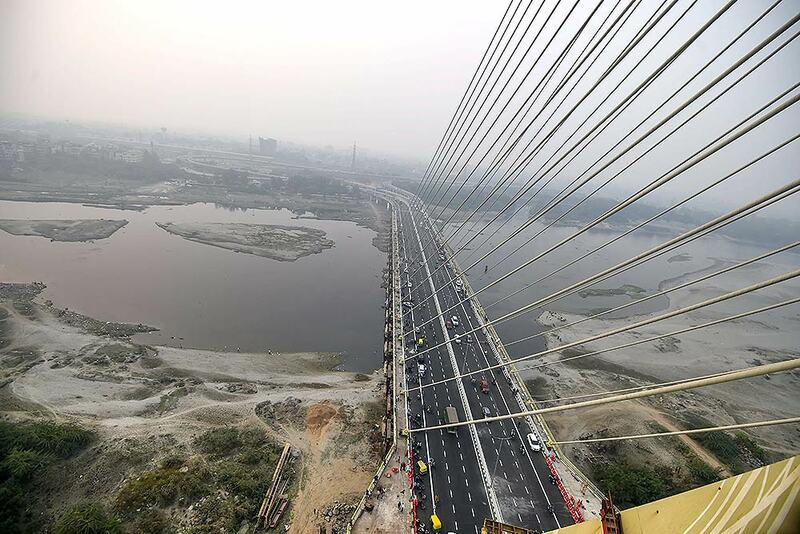 A view from the newly inaugurated Signature Bridge, at Wazirabad in New Delhi. 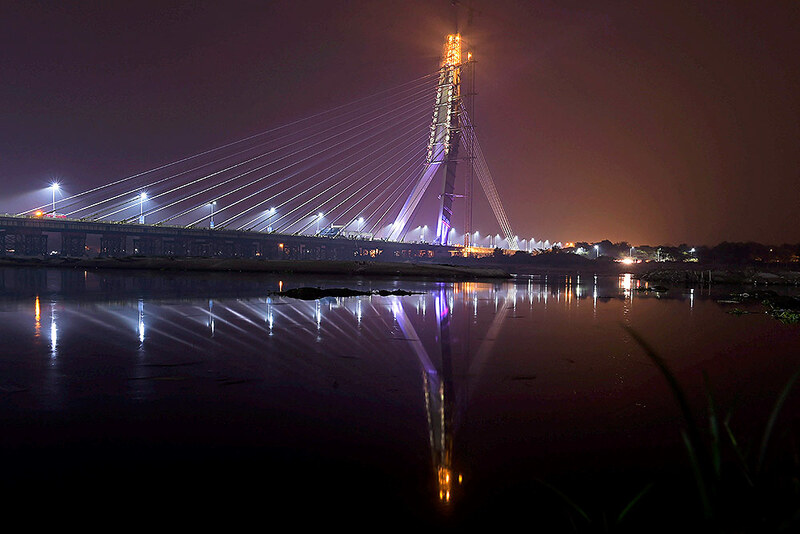 The Signature Bridge, India's first asymmetrical cable-stayed bridge. 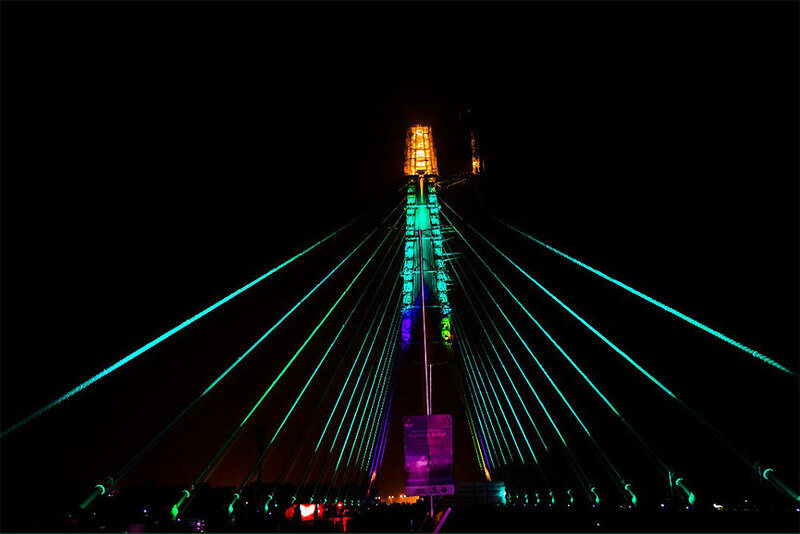 A view of the newly inaugurated Signature Bridge during a laser show, at Wazirabad in New Delhi. 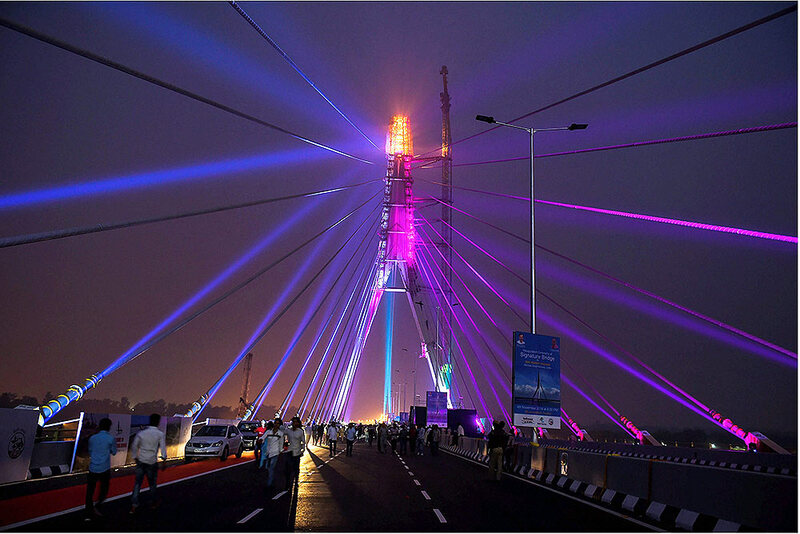 The Signature Bridge, India's first asymmetrical cable-stayed bridge, will be opened for public from Monday, November 5, 2018. 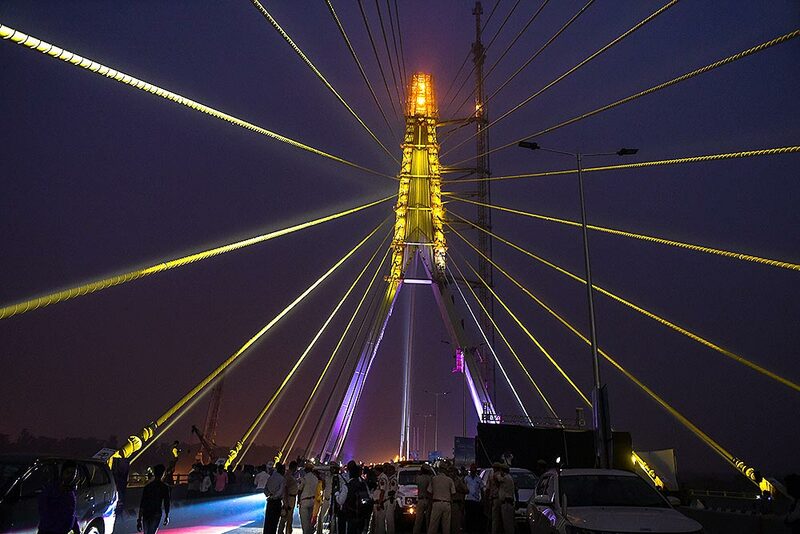 A view of the newly inaugurated Signature Bridge over Yamuna river during a laser show, at Wazirabad in New Delhi. 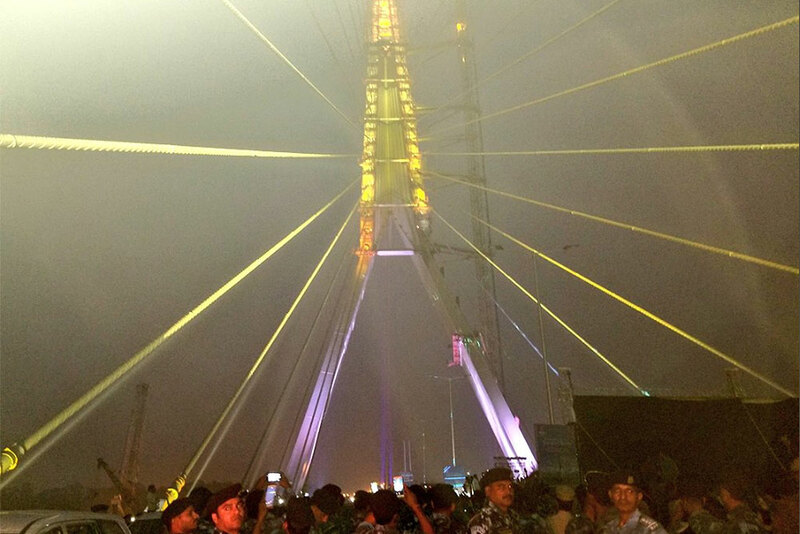 A view of the newly inaugurated Signature Bridge during a laser show, at Wazirabad in New Delhi. 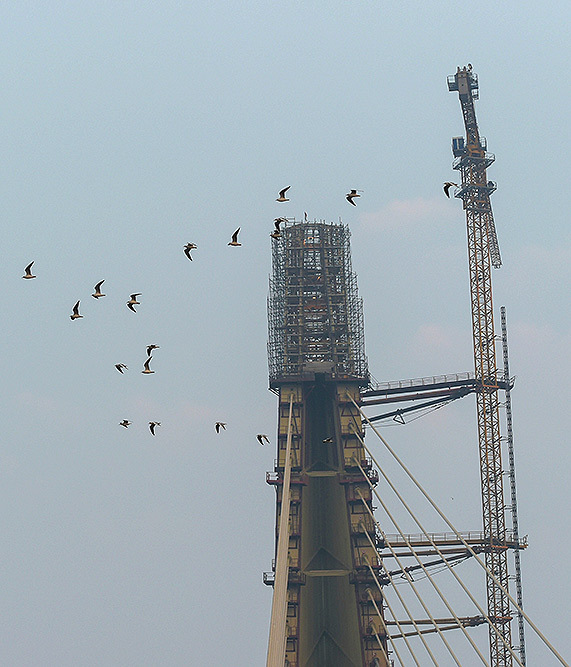 Birds fly near the tower of the newly inaugurated Signature Bridge at Wazirabad in New Delhi. 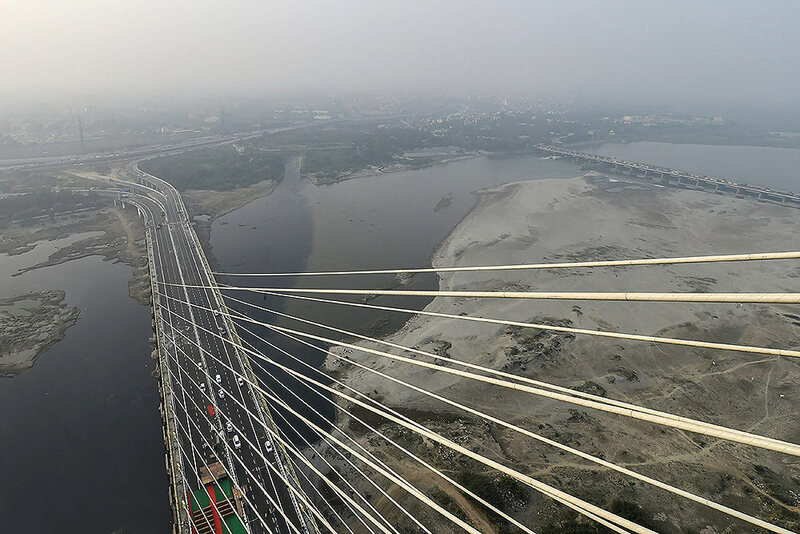 An aerial view of the iconic Signature Bridge over the Yamuna River, in New Delhi. Deputy Chief Minister Manish Sisodia inspected the infrastructure project which is set to open for public from November 5, 2018, after its inauguration by Chief Minister Arvind Kejriwal on November 04, 2018.